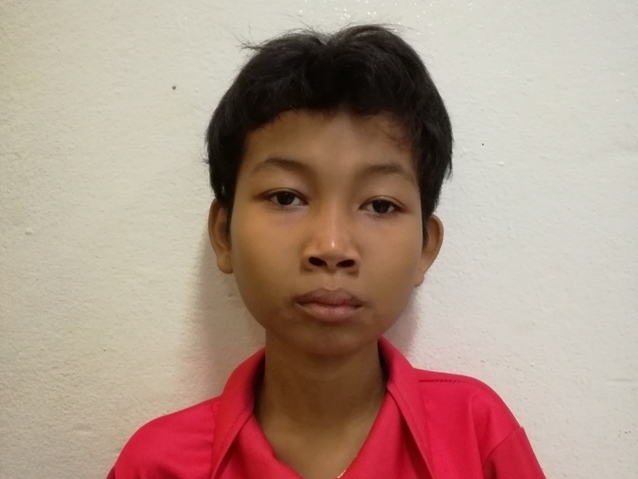 Sey Ha is a teenager from Cambodia who needs $417 to fund ankle surgery. Sey Ha is a teenager from Cambodia. His favorite subject to study in school is Khmer literature, and in the future he hopes to grow up to teach about literature. Since he was born, Sey Ha has had a condition on his left hand and also his left ankle that makes it difficult for him to walk normally. Sey Ha will undergo a surgery on his ankle that will return the position of his ankle back to normal and will provide stability while standing. Surgery is scheduled for March 12 and will cost $417. Sey Ha's case was submitted by Lindsay Bownik at Children's Surgical Centre in Cambodia. Sey Ha was submitted by Lindsay Bownik, Stakeholder Relations Officer at Children's Surgical Centre, our medical partner in Cambodia. Sey Ha received treatment at Kien Khleang National Rehabilitation Centre. Medical partners often provide care to patients accepted by Watsi before those patients are fully funded, operating under the guarantee that the cost of care will be paid for by donors. Sey Ha's profile was published to start raising funds. Awaiting Sey Ha's treatment update from Children's Surgical Centre. Sey Ha is currently raising funds for his treatment. Contractures are permanently shortened muscles or joints that occur most commonly in the elbow, ankle, knee, hip, and shoulder. As the muscle is unable to stretch, the affected area has considerably limited movement. Other symptoms include pain and inflammation. The inability to move the affected area impacts mobility and can reduce the patient’s ability to perform daily tasks independently. Trauma is a major cause of contractures, and road traffic accidents—particularly with motorcycles—are pervasive in Cambodia. 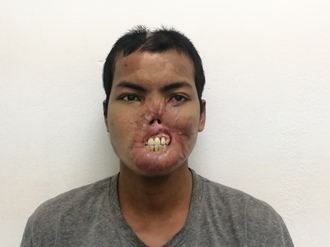 In addition, the longer that the contracture goes without treatment, the less chance there is of motion recovery; the lack of many surgical centers in Cambodia means that patients do not often present early for treatment. Contracture release surgery aims to remove or cut the thickened scar tissue (fascia) and procedures vary depending on the joint affected. There are three main ways of treating a contracture: open fasciotomy, which cuts the fascia by cutting open the overlying skin; needle fasciotomy, which cuts through the fascia using a needle and without opening the skin; and open fasciectomy, which removes the fascia. Surgical treatment of contracture restores movement to the affected area, allowing patients increased function and reduced pain. The surgery carries a small risk of infection and of damage to nearby tendons, blood vessels, and nerves. Postoperative complications include loss of flexion and hematoma. While some treatment for contractures can be available locally, certain contractures need surgery to restore motion. Affordable surgical care is not very accessible, and so patients travel as much as twelve hours to reach Children's Surgical Centre for free surgery, arriving by bus, motorbike, or taxi. Physical therapy, splinting, and other exercises may be able to increase movement if the contracture is only in the muscles; joint contractures and contractures that do not respond to other treatments may require a surgery to restore function of the affected area.